Just in time for the holidays, plus FREE SHIPPING anywhere in the continental US. 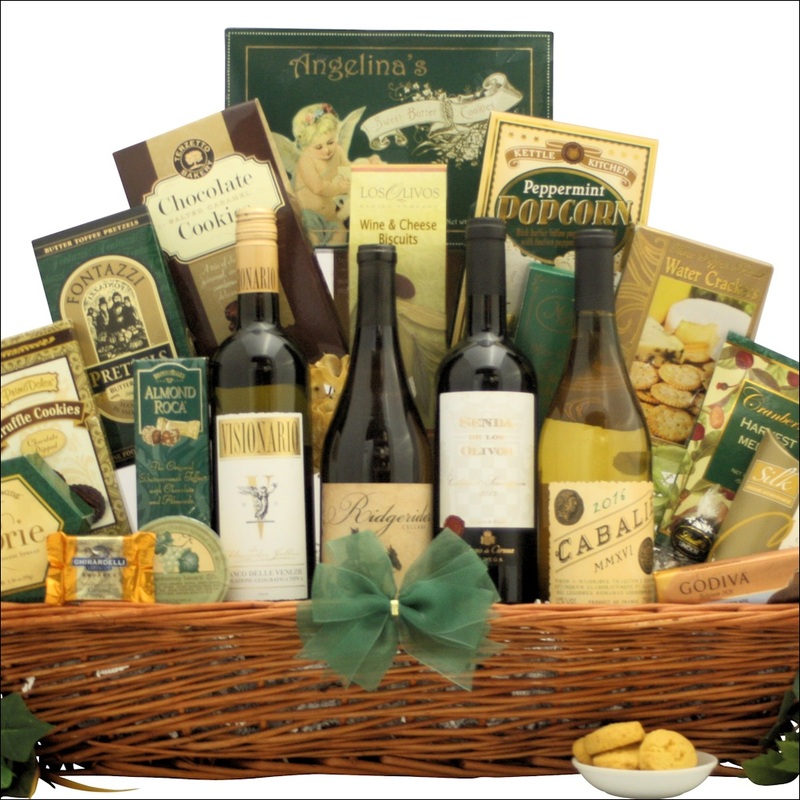 The only thing better than the gift of wine is the gift of wine and food! This year, give the wine lovers in your life a Boston Wine School Select Gift Basket that they'll remember and talk about all year long. All our gift basket wines are hand-selected by Boston Wine School educators who sample hundreds of new wines every year to deliver the perfect combination of flavor, rarity, and value. Engaging and educational tasting notes are included with each gift basket to help wine lovers understand what these wine mean, why they're important, and what they can teach you about wine. Looking for an extra-special gift for your special event? We customize any quantity for almost every theme and event: golf, gardening, house warming, new baby, weddings, and more! No request is too big or small. Contact info@bostonwineschool.org and we'll get your custom gift baskets ready in no time!